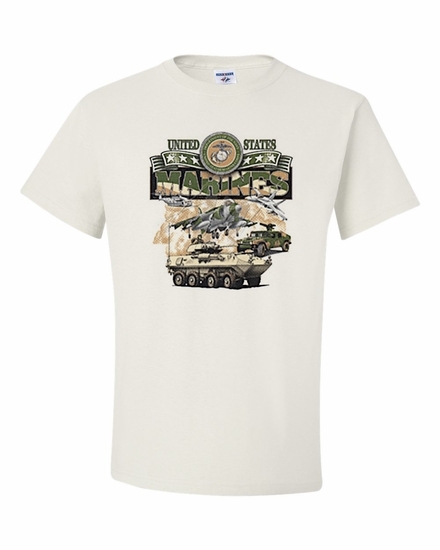 Our United States Marines T-shirts, sweatshirts, and coffee mugs are a great depiction of the contribution of the Marines to our military. Choose from several styles and colors. Remember� you found the United States Marines Shirts at TShirtHub.com, where high quality came at a low price.